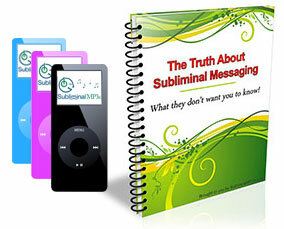 Use this unique subliminal album to help you stay alert and focused for longer periods of time. Do you find yourself dozing off while driving long distances? Do you have trouble staying focused when you have a lot of work to do? Would you like to naturally stay alert when you have a difficult task in front of you - and whenever you need to? We all start a project or piece of work with enthusiasm but as the minutes and hours tick on we can get a little bored, de-motivated, and lose our productivity. This album will help you stay focused and sharper in mind for longer. You can use this album to help you study, work, and do those tasks which you struggle to get finished. All you have to do is press play and let the subliminal messages enter your mind. They will help you to stay alert, stay focused, and concentrate for long periods of time, and stop you getting distracted. You will discover that you have more energy when you need it. Your mind will gradually recognize the need to stay focused as you go with your work, and increase its readiness to be challenged with time. This will provide you with additional energy boosts when needed. You will be able to perform better when you are tired, sleepless, bored or engaged in a repetitive task. You will be more productive during the hours that you'd normally use to sleep or do something else, which will enable you to finish all tasks on time. You should use the album as and when you need to; simply playing the track in the background as you feel your eyelids getting heavy. With continued regular use it will help you to generally be more alert and focused at all times. The more you use the album the more you will notice this, and results will last. This album works well alongside our natural energy boost album - the difference being that this album helps you to stay focused over the long term, whereas the natural energy boost album will help give you a boost straight away - a little like an energy drink.